The Holy Roman Empire, ended by a decision of the last Emperor, Francis II, on 6 August 1806, had already long ceased to be a major political power even though the prestige of the Imperial title conferred immense status and influence. 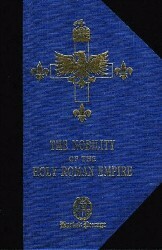 Indeed, its description as neither Holy, nor Roman, nor an Empire was peculiarly apposite. The Holy Roman, or German Empire as it should better be described, could justly claim to be the successor of the Western Roman Empire despite its later foundation. Although the Eastern Empire of Byzantium, which expired in 1453, had enjoyed an unbroken succession from the time of Constantine the Great, its claim to jurisdiction beyond the boundaries of the western Balkans was never acknowledged. The Empire of the Germans was founded by Charles the Great (Charlemagne), whose coronation on Christmas Day 800 gave Papal approval to the unification of France, most of modern Germany, the Netherlands, Belgium and Luxembourg, and northern Italy under his rule. Although his male line descendants had died out within little more than a century, Charlemagne is the ancestor of every existing Christian European ruling or former ruling dynasty. The only modern survivors of the Empire are the ecclesiastical Princes - the German Archbishops and Bishops - and the Sovereign Princes of Liechtenstein. With the death of Charlemagne no ruler until Napoleon ever held sway over his lands and the Imperial title became the legacy of the Germans. The Emperor, although himself usually an hereditary ruler of one or more states within the Empire, was elected to office. Nonetheless, several dynasties managed to perpetuate their grip upon the Imperial title. The surest means of establishing dynastic rule was for the Emperor to insure that his immediate heir was the inevitable choice of the "Electors" by having him nominated King of the Romans in his own lifetime. Those Princes who, by the early thirteenth century, had established their claim to the title of Electors of the Empire were the Prince Archbishops of Koln (Archchancellor of Italy), Trier (Archchancellor of Gaul) and Mainz (Archchancellor of Germany), the King of Bohemia (Imperial Cup Bearer) the Duke of Saxony (Imperial Marshal), the Count Palatine of the Rhine (Imperial Seneschal), and the MarkGraf (Margrave in English) of Brandenburg. Their number was formerly codified in an Imperial Bull issued by the Emperor Karl IV (of Luxembourg, King of Bohemia). That this Bull was issued without reference to Papal authority indicates the decline of Papal power since the Avignon schism. Henry IV's humiliation at Canossa would never be repeated. The Reformation was the greatest blow to Imperial power, resulting in increasing Hohenzollern power with the acquisition of the Duchy of Prussia and the conversion of Church lands into hereditary fiefs. The religious wars of the sixteenth century and the Thirty Years war in the early seventeenth led to a further diminution of Imperial power, even though the Habsburgs' rule in Bohemia was consolidated. 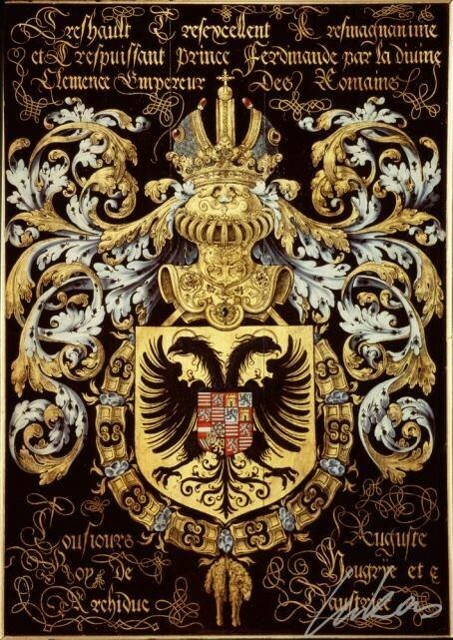 The number of Electors was increased to eight with the elevation of the Wittelsbach Duchy of Bavaria to the status of Electorate (giving that family two Electors, the other being the Elector Palatine) in 1648, following the changes wrought by the Thirty Years war. In 1692 a fourth was added in the person of the Duke of Brunswick-Luneburg-Hannover, who became Elector of Hannover (united with the British crown in 1714). Shortly before the collapse of the Empire, the Emperor Napoleon imposed his own reorganisation of the German states and four more princes were added to the ranks of the Electors (three lay Electors, Hesse-Cassel, Baden and Wurtemberg, and one ecclesiastical, the Archbishop of Salzburg - an Austrian Archduke) while the Archbishops of Mainz, Trier and Köln lost their sovereignty and electoral rank. From 1438 until 1740 the Imperial Crown was held continually by the Habsburgs, who initially did not hold an Electoral seat. The German Electors, however, chose the first Habsburg Emperors because most of their hereditary territories were outside the formal boundaries of the Empire itself. Until the late fifteenth century the Habsburgs still followed the German practice of dividing their territories between sons so Austria, Styria, Carniola, Carinthia and the Tyrol - which were later to compose part of the Empire of Austria - were often ruled by different members of the family. In 1437, Sigismond of Hungary and Bohemia died leaving an only daughter, to be succeeded by his son-in-law Albrecht V (of Habsburg), Duke of Austria. Albrecht was now elected King of the Romans as Albrecht II but died before the coronation which would have allowed him to take the Imperial style. While the Crowns of Bohemia and Hungary passed first to his short-lived son and then to his son-in-law the King of Poland, in 1440 the Electors chose Albrecht's cousin and successor as ruler of Austria, Frederick V of Styria (first Arch duke of Austria in 1458), to be Emperor. The Imperial Crown remained the privilege of the Habsburgs for the next three hundred years. Frederick was the last Emperor to be crowned by the Pope in Rome and did much to consolidate the Habsburg possessions. His great-grandson, the Emperor Charles V (1500-1558) united in his person the Imperial Crown, the hugely wealthy Duchies of Burgundy and Brabant, the Duchy of Milan, the Kingdoms of Naples and Sicily and the Crown of Spain. The latter's brother Ferdinand acquired by marriage the Crowns of Hungary and Bohemia in 1526. 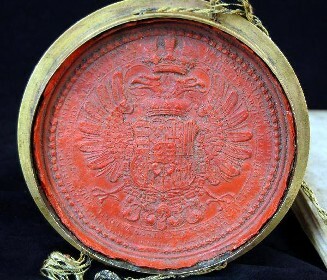 Unable to rule this vast Empire effectively, Charles abdicated the Crown of Spain, the Italian possessions and the Burgundian inheritance to his only son, Philip II, in 1556, and resigned the Imperial Crown to insure its inheritance by his brother Ferdinand, who was the first Habsburg to combine the Imperial Crowns with those of Austria, Hungary and Bohemia. The male line of the Habsburgs became extinct with the death of Charles VI in 1740. The senior line, of Kings of Spain, had died out in the male line with the death of the unfortunate King Charles II in 1700 when his Spanish possessions passed to his Bourbon great-nephew. The Spanish Netherlands (originally part of the Burgundian territories) then passed to Austria, while Naples and Sicily were divided, to be temporarily reunited before being reacquired by the Bourbons in 1734. Charles VI left an only daughter, Maria-Teresa, who had been married off to Francis, Duke of Lorraine, founding the Habsburg-Lothringen dynasty which ruled in Austria, Hungary and Bohemia until 1918. 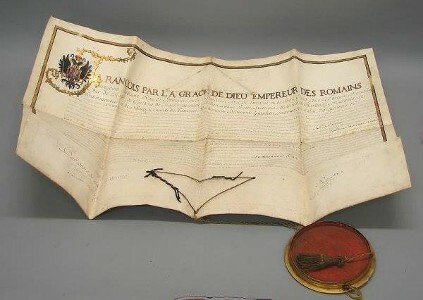 Francis surrendered Lorraine (an Imperial fief) to France as the temporary sovereign Duchy of the French King's father-in-law, the former King of Poland, from whom it passed to France on his death in 1766. After a five year interregnum, during which time the Elector of Bavaria held the Imperial Crown, Francis was elected Emperor. Following his death his eldest son, Joseph II, succeeded as the first Habsburg-Lothringen Emperor. The Empire included not only the territories of the nine Electors, but also more than three hundred small lay and ecclesiastical states whose numbers fluctuated when male lines died out and families merged or divided. These petty rulers enjoyed limited "sovereignty" over states which sometimes included no more than a few villages. Many of the Bishoprics governed small territories which gave them the status of "immediate" Imperial vassals. Some of the larger Abbeys and Convents enjoyed similar status - their superiors composed the largest number of "elected" rulers, both men and women, Europe has ever seen, even though only chosen by their fellow religious brothers or sisters. 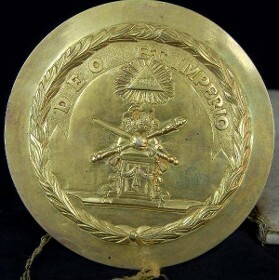 A smaller number of these "immediate" sovereigns had the right to a seat in the Imperial Diet, a jealously guarded privilege which gave them some say in the legislative and governmental affairs of the Empire and considerable prestige. In the middle of the seventeenth century there were forty-three lay members and thirty-three ecclesiastical members of the Diet but their numbers expanded steadily until the Empire's collapse. The Diet included the Electors, the rulers of the larger Duchies such as Wurtemberg, and Oldenburg, the smaller Saxon states and Anhalt, and a larger number of Sovereign Princes and Sovereign Counts. Some of the ecclesiastical rulers enjoyed the status of Princes, others only that of Counts and were ranked accordingly. The High Master of the Teutonic Knights, the Grand Prior of Germany of the Order of Saint John (Malta), and the Master of the Knights of the Johanniter Order also had seats in the Diet, ranking as Princes of the Empire. 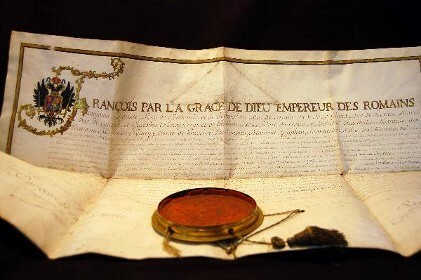 The titles of Duke, Prince, Count, Baron, Knight and Noble of the Empire were conferred by Imperial patent. The vast majority of the lower ranks never enjoyed any kind of sovereignty, however, having been elevated on the basis of services to their superior lord, the Emperor himself, or by right of some territory they owned which was itself subject to an immediate Imperial vassal. Most such conferrals were made at the request of the superior lord of the beneficiary - an Elector or Duke perhaps, but the MarkGraf of Brandenburg as King in and then of Prussia was able to confer titles in his own right. 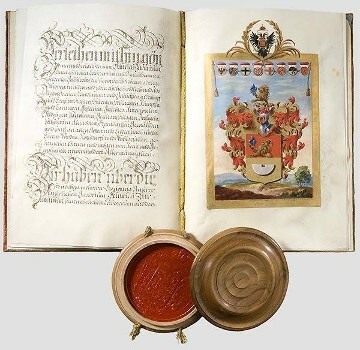 Later the Electors of Bavaria conferred titles as did some of the other greater Princes while many of the rulers of smaller states had been invested with the right to confer nobility. Imperial Nobility and titles always passed by male succession, most titles being inherited by all the male descendants and by females until marriage (or religious profession). Noble territories could pass by female succession but use of the corresponding title would have to be confirmed in a new Imperial patent. Imperial authority extended also to the Netherlands and Italy, and some of the higher North Italian titles (particularly that of Prince) and Netherlandish titles were conferred by Imperial grant. 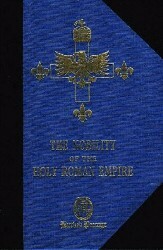 The Imperial Viceroys, as rulers of the Netherlands, Milan and Naples and Sicily also conferred titles but these were not Holy Roman Empire titles and their recipients did not rank as Reichsherren, Reichsritter, Reichsfreiherr or Reichsgraf.During the years preceding and immediately following the collapse of the Empire there was considerable readjustment of territories between states - mostly to the benefit of the larger states which were consolidated within contiguous borders - and of the titles of their rulers. The Electors of Saxony, Wurtemberg and Bavaria became Kings, as did the Elector of Hannover following the downfall of Napoleon, although as King of Great Britain he already enjoyed the royal style. The Kingdom of Westphalia was created for Jerome Bonaparte after territories seized from Hannover, Brunswick and various ecclesiastical states on the right bank of the Rhine but ceased to exist in 1814 when its lands were redistributed - those on the Rhine being given as a prize to the King of Prussia. The Duchies of Mecklemburg-Schwerin, Mecklemburg-Strelitz, the Duchy of Oldenburg, the Duchy of Saxe-Weimar, and the Margravate of Baden were elevated to the status of Grand Duchies as was the Landgravate of Hesse-Darmstadt. The Grand Duchy of Berg and Cleves (given first to Murat and his wife Caroline Bonaparte, then Napoleon-Louis, the second son of Hortense de Beauharnais and Louis Bonaparte), the Grand Duchy of Frankfurt (given first to Emmerich de Dalberg and then Eugène de Beauharnais), and the Grand Duchy of Wurzburg (given to the Grand Duke of Tuscany as compensation for the loss of his Italian states) were all created out of former ecclesiastical states or the territories of Napoleon's enemies. Their territories were redistributed after 1814 and their rulers deposed, while the Grand Duke of Tuscany was restored to Florence. The Duchy of Luxembourg was raised to the status of Grand Duchy and added to the Kingdom of the United Netherlands (until 1890 when it passed to the Duke of Nassau), as were the former Austrian Netherlands, until they gained their independence as the Kingdom of the Belgians in 1830. Some states which survived the initial dissolution of the Empire, notably the Duchy of Arenberg which was actually enlarged after 1806, and the Principality of Leyen, were unable to hold onto sovereignty in 1814, lacking the close family relationships to the sovereigns of the victorious powers whose influence might have enabled them to hold their thrones. The Imperial nobility enjoys a more elevated status than the nobilities of the German successor states and, indeed, of the Italian states. 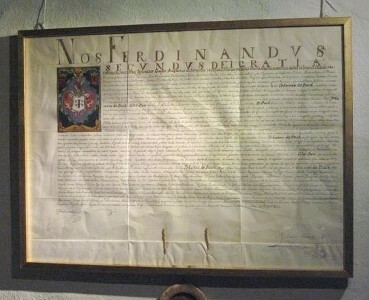 The descendants of Italian Holy Roman Empire titles have formed an Association to which every male line descendant of someone ennobled by Imperial Patent is entitled to belong. 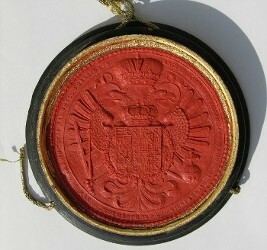 The Principality of Liechtenstein has also claimed to be able to confirm the succession to Imperial titles and has confirmed the right of a Spanish nobleman to be heir to such a title, for purposes of the Spanish law requiring the successor state to confirm that the claimant to a particular title is in fact the heir. Thus there is a remaining jurisdiction.